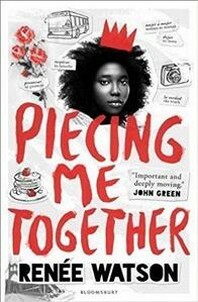 REN?E WATSON is the Newbery Honor and Coretta Scott King Author Award-winning author of the novels Piecing Me Together, This Side of Home, What Momma Left Me, Betty Before X, co-written with Ilyasah Shabazz, and two picture books: Harlem's Little Blackbird and A Place Where Hurricanes Happen. Ren?e is the founder of I, Too, Arts Collective, a nonprofit committed to nurturing underrepresented voices in the creative arts. She lives in New York City.